We at Henry Glass & Co. have to say that this time of the month is one of our favorites. When we open the e-mail from our current challenger we are always so in awe of the photographs of the projects that come in. Thank you to all of the challengers for the hard work that is put into these projects. If you have submitted and haven't heard from us, don't worry. We have received an overwhelming amount of interest in this blog feature and we will get to you! 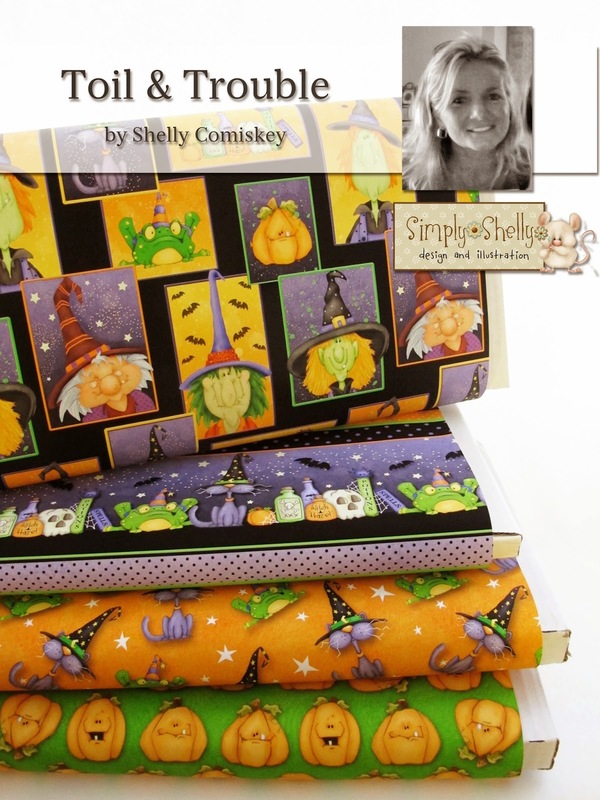 We sent our April challenger a bundle of Toil and Trouble by Shelly Comiskey. 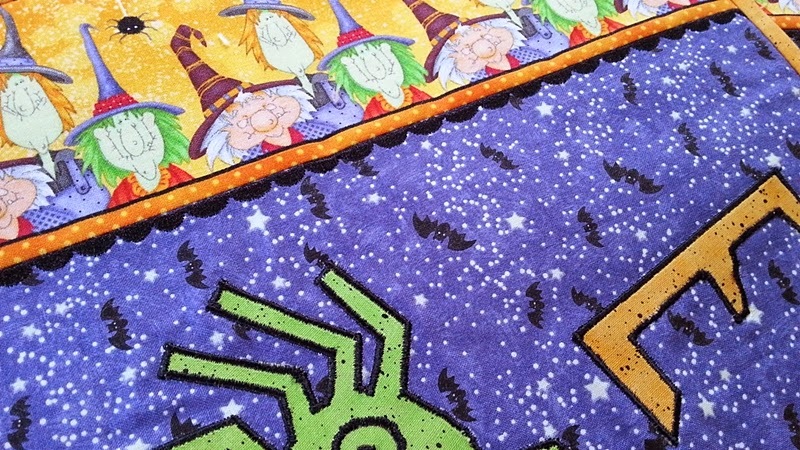 Fun characters and bright colors are featured in this latest Halloween collection by Shelly. 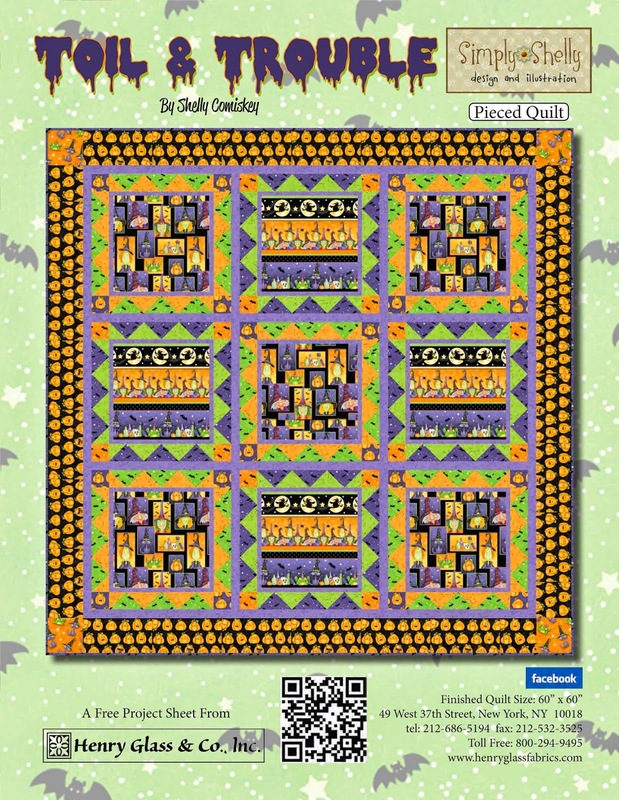 If you are look to making a fun Halloween project, go to the Henry Glass website to download this free pattern that accompanies the Toil & Trouble collection. Let's meet the April 2015 Desire To Inspire challenger. I live in rural Martinsville, Indiana. We like to call our little 8 acres, Podunk. We have recently added beehives and chickens to the many other hobbies we enjoy. We have a combined family of 4 adult children and 2 grandchildren, My 2 sons live in neighboring towns. A daughter and both grandchildren living in Kentucky about 3 1/2 hours away. And my husbands daughter lives in Pennsylvania. We can't leave out our newest addition to our family, Lobo, our German Sheppard. 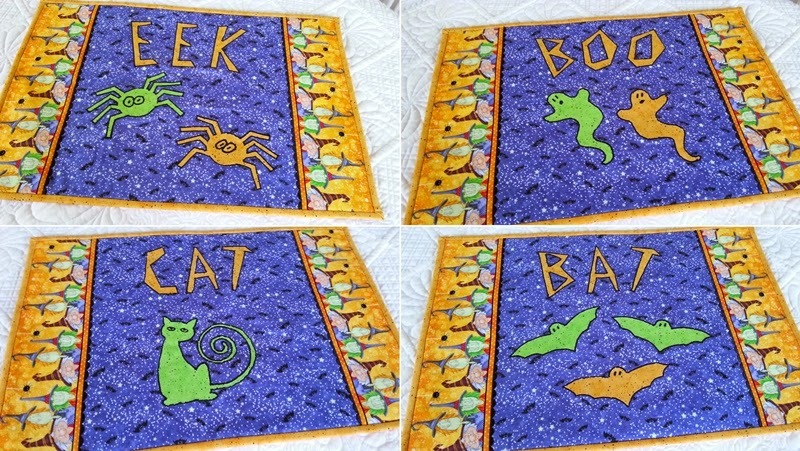 I made my first and last fan quilt block in a 1986 Needle Crafts class taken in High School. Later in the school year I made my first Chicken Scratch baby quilt. 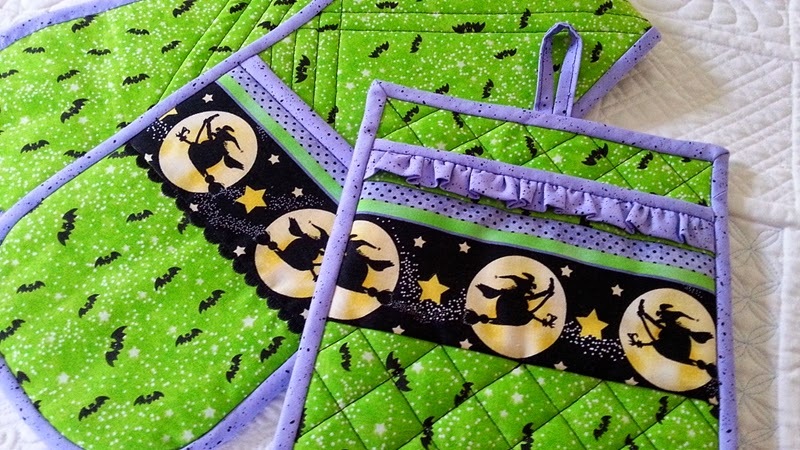 Many years past, sewing Halloween costumes, baby doll cloths and various household items, curtains, small quilted wall hangings and chair cushions. It wasn't until my children were teenagers that I started quilting on a regular basis and considered myself a quilter. 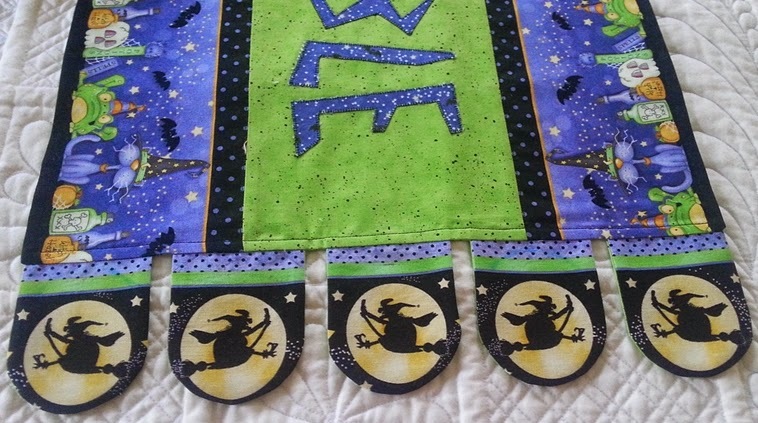 Applique, the smallest amount of applique can make a quilt shine. Who taught you to quilt? Except for the Needle craft class in high school, I've never taken a class. I'd like to say that I'm self taught but in reality the biggest influence on my quilting would be the Internet and bloggers who share knowledge of techniques. Do you belong to any guilds? Not currently, I belonged to the local guild for two years, and hope to someday find the time to join again. 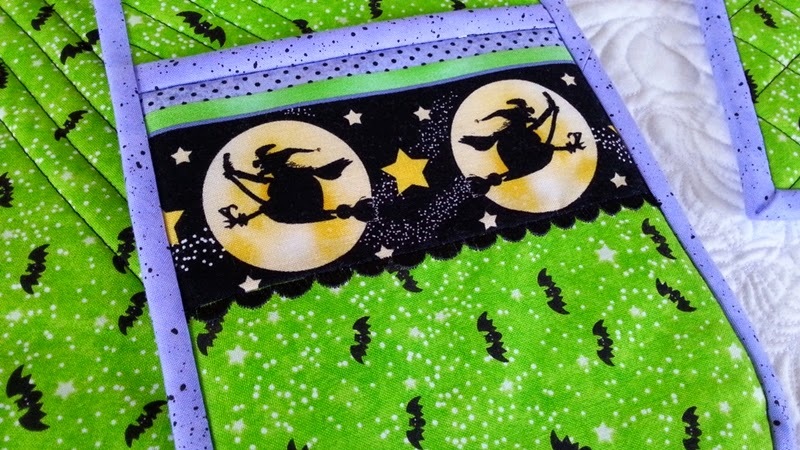 I have a blog that was started a few years ago when I was teaching a small quilting class. 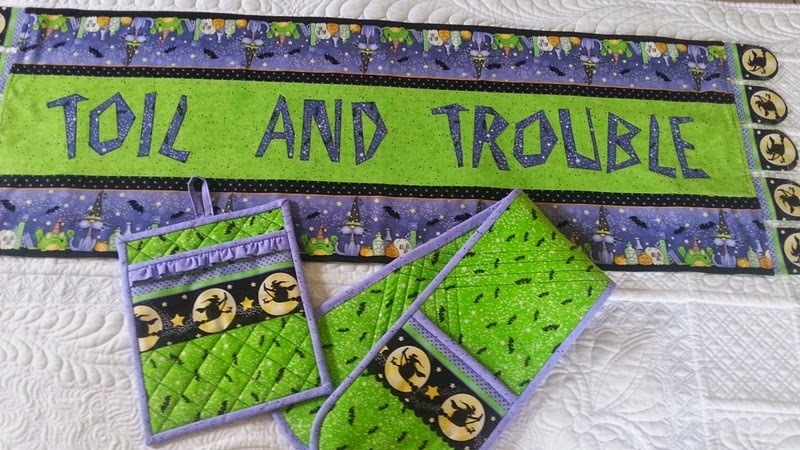 My blog Podunk Pretties was a way to share with my class what I was working on in my Quilting Studio as well as post the weeks lesson when snow kept me from getting to the classes. Over the years it has become my avenue for sharing free patterns and tutorials with quilters all over the world. It was through my blog and it's followers that I learned about the Desire to Inspire Challenge. This has been a fun and exciting challenge that forced me to work outside my comfort zone and grow as a quilter and designer. 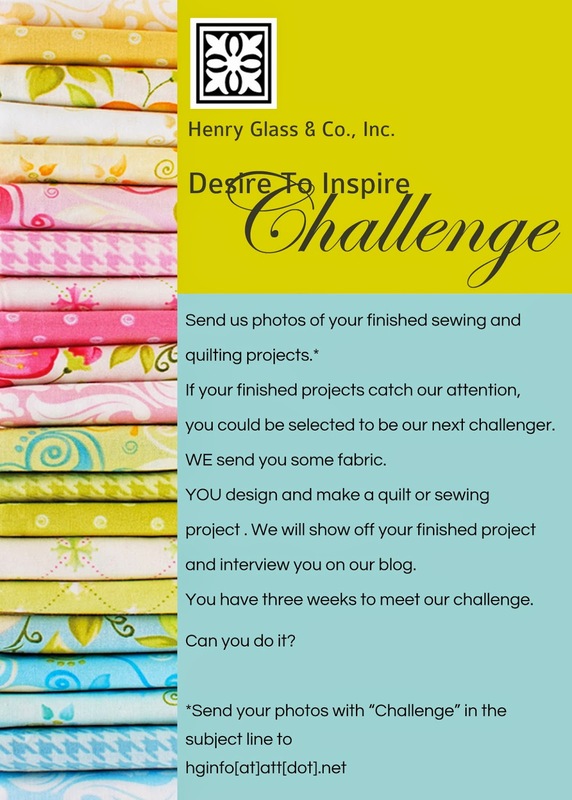 Thank Henry Glass Fabrics, I hope to participate in another Desire to Inspire challenge in the future. Thank you so much to Lea for being the April Desire To Inspire Challenger! Good morning! It's a great Monday morning. 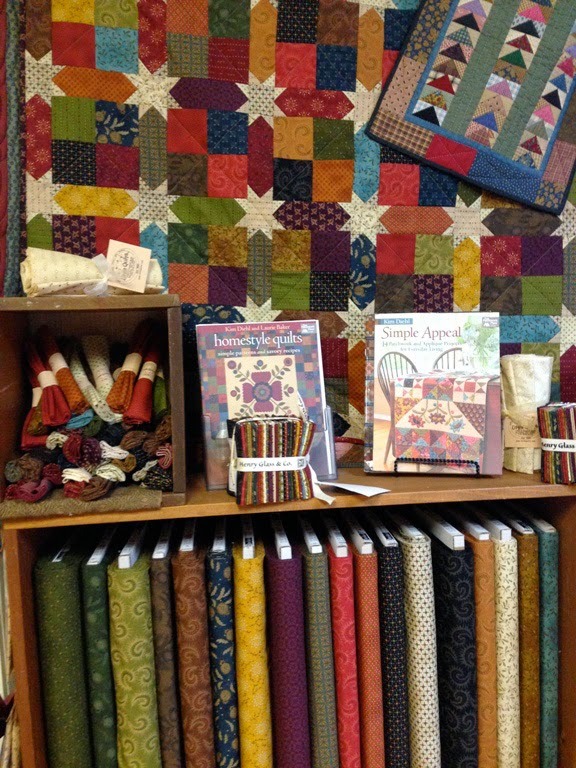 It's going to be a busy couple of weeks as we prepare for Quilt Market in May. Are you going to be there? 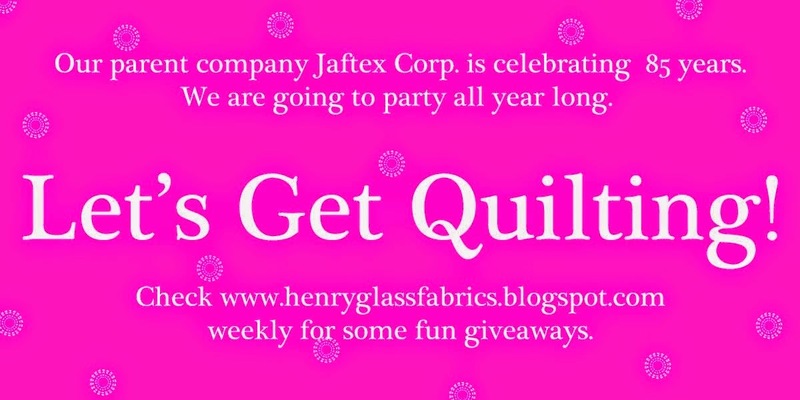 Make sure that you visit the Henry Glass Booth #1719 and Sample Spree #108. 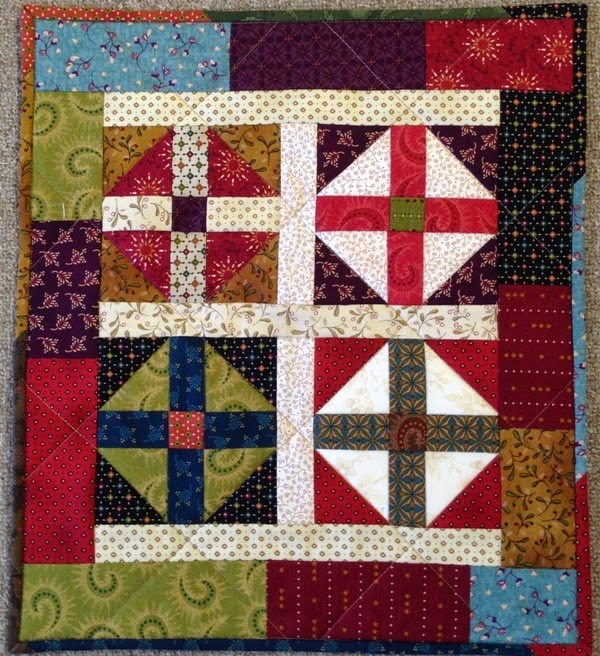 Congratulations to Nancy Hilderbrand for winning Let's Get Quilting last week. Please send your contact information here to receive your prize. This week we are giving away a fun bundle of Two By Two by Beth Logan. Let us know what you're planning for vacation this summer. American Dreams in Paducah. Mary Ellen Von Holt of Little Quilts reports that busy is hopping in Paducah. She tells us that this panel in particular is very popular at the American Quilters Society show in Paducah. The Pledge Of Allegiance kit is designed by Beth Logan of ArtStuff Ltd. and is part of her American Dreams collection. 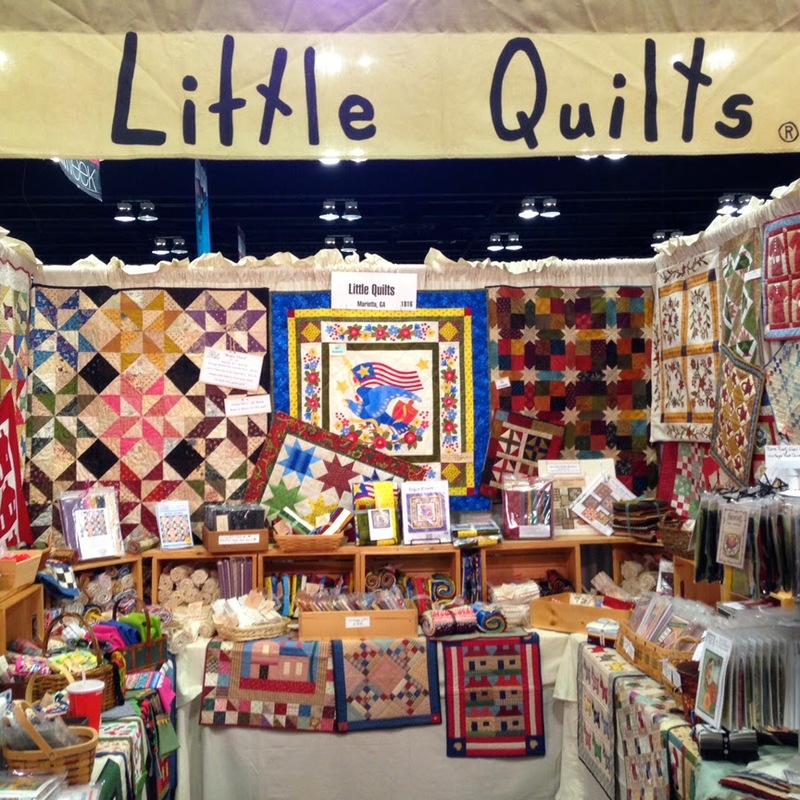 Enjoy QuiltWeek and make sure that you visit the Little Quilts booth #1816 if you are there. Are You Ready For Paducah? The ladies from Little Quilts are! 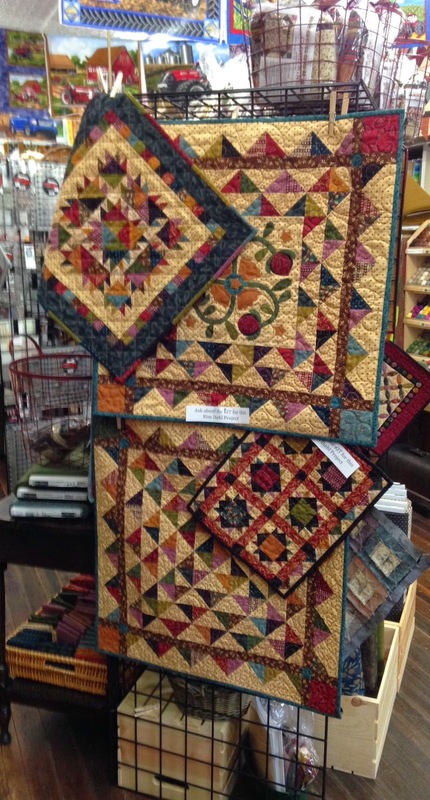 Will any of our fans be in Paducah to see the AQS QuiltWeek? Mary Ellen Von Holt of Little Quilts sent in some photographs to show you what it's like to set up a booth from the vantage point of a vendor from start to finish. Make sure that you pop by her booth #1816 to say hi. We spy many Henry Glass & Co. goodies in her booth. The eagle from the Little Quilts collection A Touch Of Baltimore is featured in the center and Kim Diehl's Heritage Stars is show on the right. The Crosses and Squares quilt seen attached to the bottom of Kim's quilt is a pattern designed by Little Quilts' Sampler Pattern. It is made from Kim's Heritage Hollow fabric. Here's a photograph of the adorable quilt. They are almost finished! Muriel is working so hard. The ladies sent in a peek at Elisabeth's Garden: A Tale Of A Thousand Threads by Elisabeth Frolet. Congratulations on the first place finish! 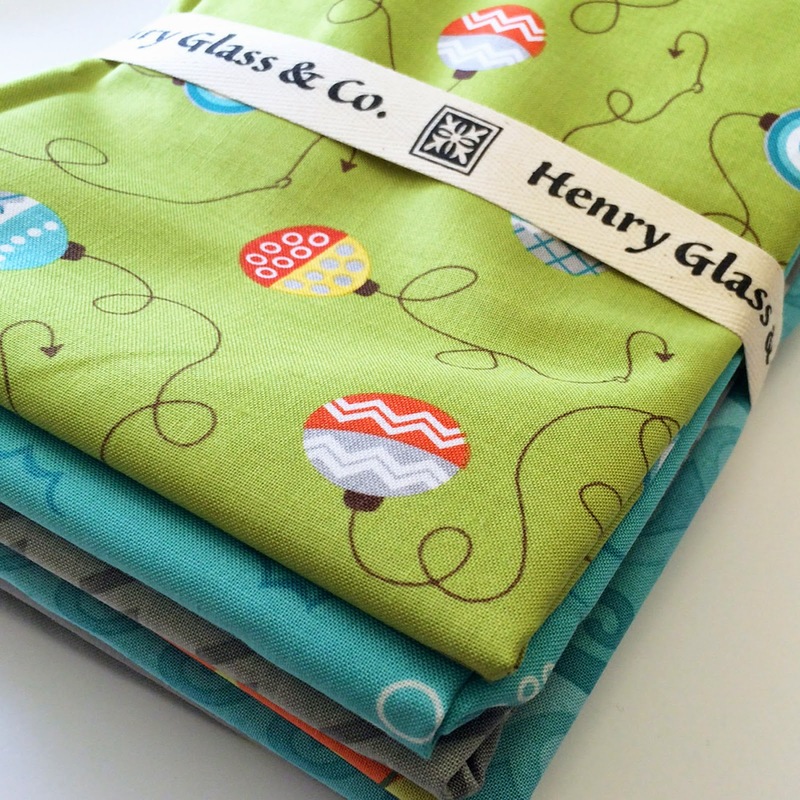 If you have any sightings of Henry Glass fabrics, send them to us! We would love to see them. Please forward them here. Good Monday morning! It's gloomy kind of day here in NYC. We thought that we would brighten up today with a colorful giveaway. Before we get to this week's edition of Let's Get Quilting, we congratulate Nancy Donovan for being selected as last week's winner. Please contact us with your information. This week we are featuring our basics collection Folio Basics by Color Principle and have selected a few gorgeous colors to give away. Click here to see the entire range in this beautiful basics line. 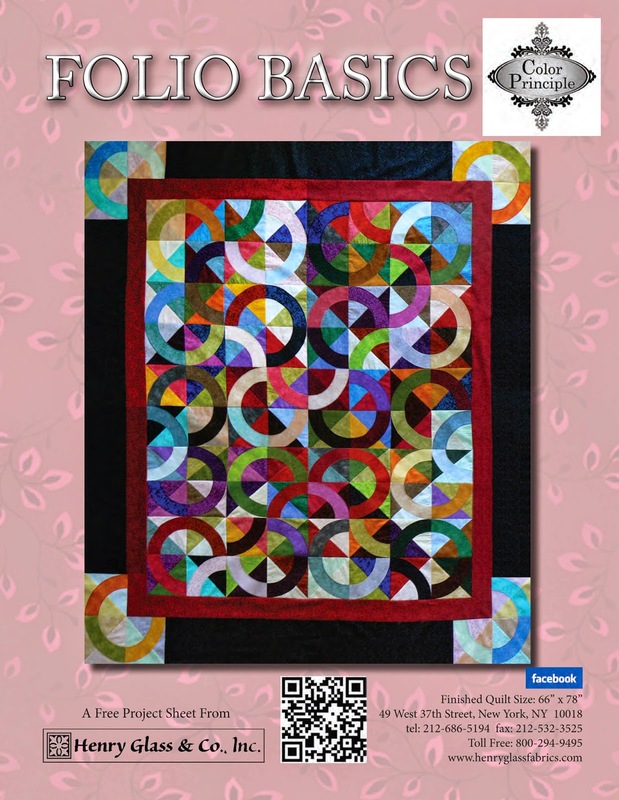 We hope that it will inspire you to start a project like this Folio Basics Quilt. The colors all come together nicely for this dynamic design. Click here to see the entire range in this beautiful basics line. 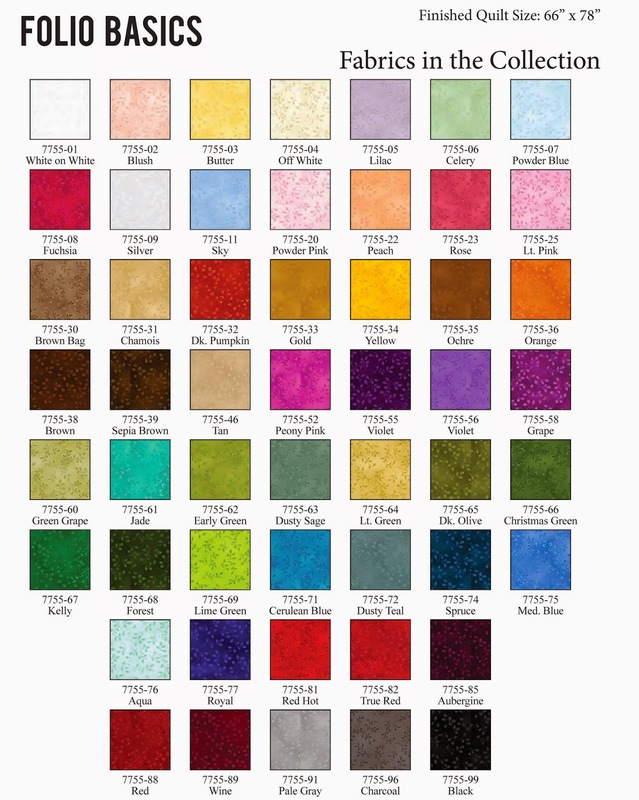 Let us know what your favorite color is when choosing quilting fabric. Good luck! Designer Jill Finley of Jillily Studio is fighting a tough battle against breast cancer and she is undergoing surgery today. Jill received a special package in the mail this week. Liz and Beth Hawkins of Lizzie B Cre8ive headed this project to have Jill's friends in the quilting industry make blocks to be put together in a lovely quilt for Jill. Jill received the quilt this week just before her surgery today. We wish Jill much love and luck. All the best to Jill and her family. 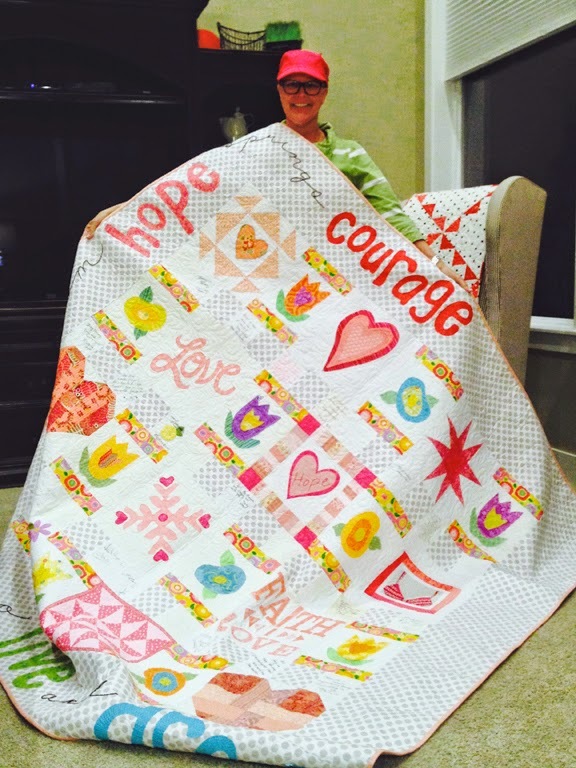 Thank you to all who participated by sending a block in for this awesome quilt. 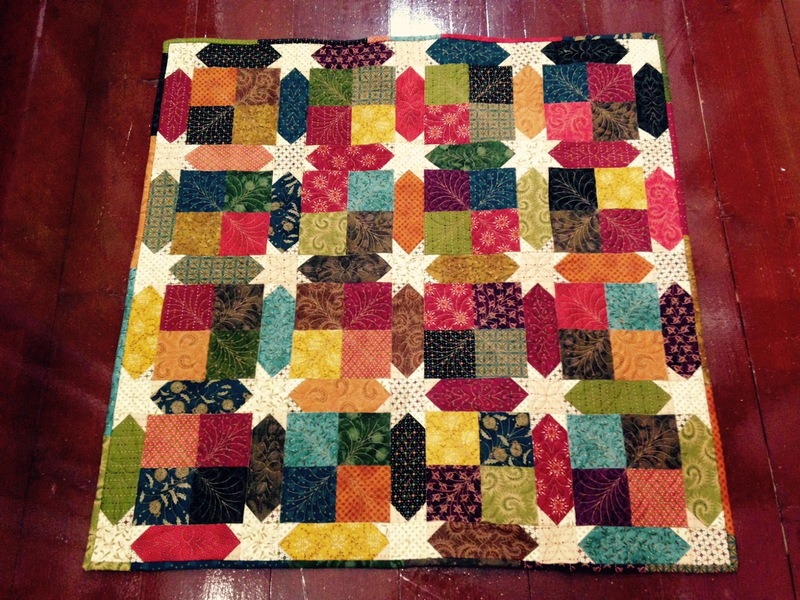 The ladies at Little Quilts sent us this lovely photograph of their Heritage Stars quilt designed by Kim Diehl. They are taking the quilt and their Kim Diehl fabrics on the road to Paducah. Will you be going? If you are, stop by to see this quilt in their booth #1816. Good Monday morning! It is time for another edition of Let's Get Quilting. This past weekend was the first time that it has felt like spring around here. Tell us what is your favorite sign of spring. Is it the warm weather? Do you notice flowers popping up everywhere? Do you like to fish? The lucky winner will win a bundle of Here Fishy Fishy by Heather Mulder Peterson of Anka's Treasures. 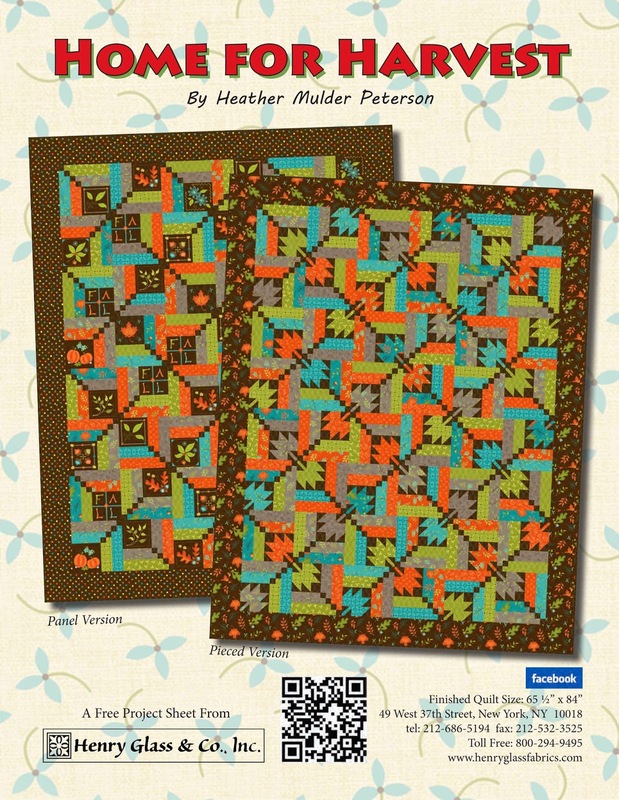 Meanwhile, make sure that you go to your local quilt shop to buy some of Heather's latest collection, Home For Harvest. This range will be on the quilt store shelves this month. The colors are fall but are so very fresh. Pumpkins, leaves and acorns are incorporated into this fun fall collection. 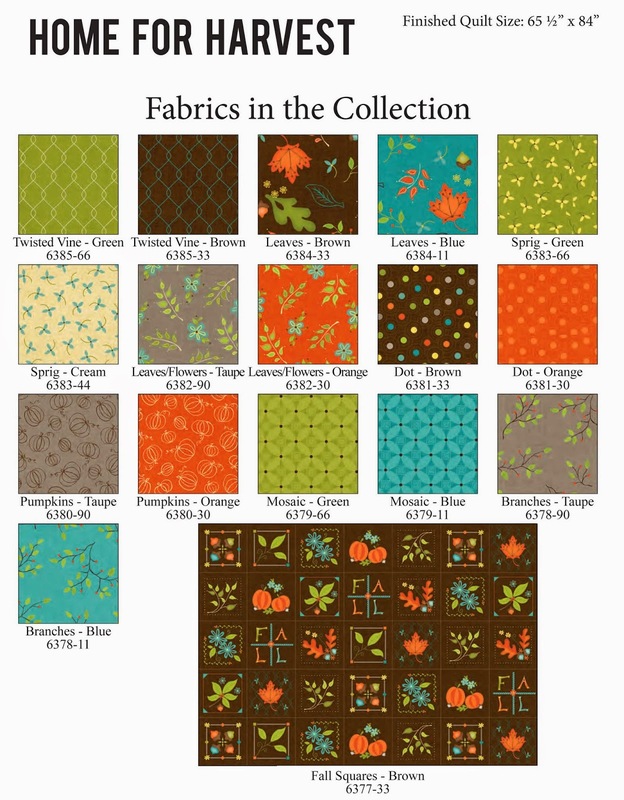 You can use these prints to make things like aprons and table runners for your home or use the panel to make a quick quilt. The pattern can be found on the Henry Glass website. Liz and Beth Hawkins have done it again! 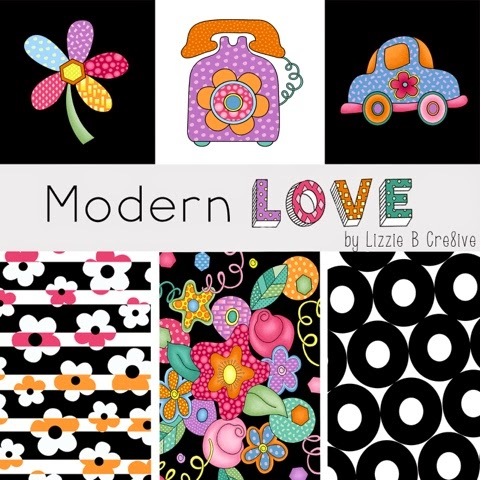 The Lizzie B Cre8ive ladies have designed another fun, fabulous, whimsical and bright collection. Liz sent a few words about the new line you will have to stay in touch to hear about their inspiration behind this line. "Here's a pic I just recently posted. It's 15 fabrics, black/white/brights, including a black and white checkered panel with the motifs pictured at the top of this photo. Stay in touch with us. We'll be blogging about the inspiration for this line leading up to market. " Good morning! It's time for another fun giveaway. Today we are going to give away a bundle of About A Boy ... About A Girl by Anni Downs of Hatched and Patched. Tell us what other creative, crafty hobbies you enjoy besides quilting and sewing. 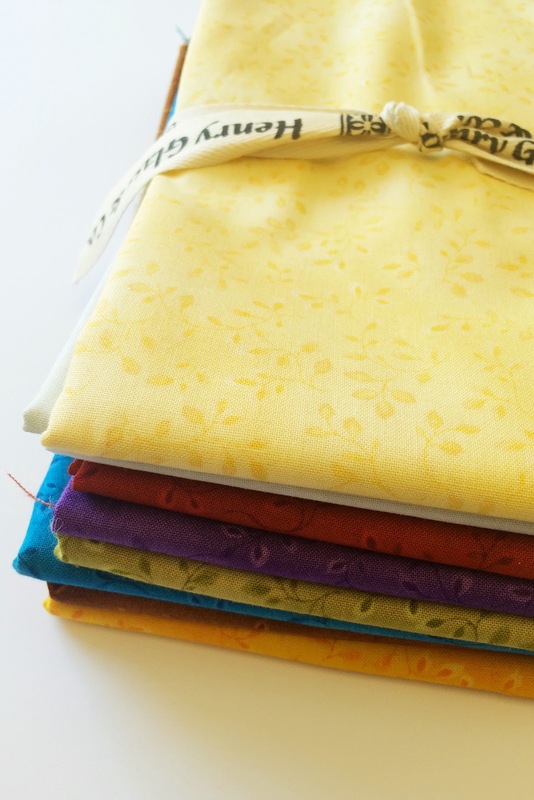 We thank all of the quilt shop owners who entered the Kim Diehl Simple Whatnots Club Contest. Many beautiful entries were sent in to us from far and wide. The entries reminded us that our customers are fabulous and that Kim Diehl's fans are AMAZING. Thank you, thank you, thank you for making this contest a big hit! We are excited to announce the winner of the Kim Diehl Simple Whatnots Club Contest. Congratulations to Sue Schaeffer owner of Ma's Got'a Notion located at 305 W. Main Street, Havana, IL. Henry Glass Fabrics President Larry Reichenberg congratulated Sue on winning the contest. Sue says that "we love everything Kim at my shop. My customers are Kim crazy so we have a huge display of all things Kim."